We all use Ravelry in different ways. Here are a few of my favorite ways to discover new designs and keep them organized. That last part is key – discovering is easy. Re-finding when you need it? Trickier. Friends Activity – One of the simplest ways to see a random sampling of the happenings on Rav. When I see the same design pop up a few times it draws my attention. I’ve learned about new pattern releases and new issues of mags this way. Friends Sets – If you have a set of friends you like to monitor specially then this is the way to do it. We all have friends who seem to be in the know – faving and queuing new designs the moment they come out. Hot Right Now – See what’s hot on all of Rav. 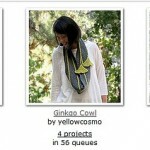 I’ve found limited-time free patterns and new releases this way. 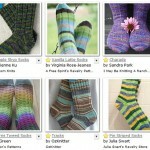 You can also search hot designs if you’re on the hunt for that new cardi pattern. 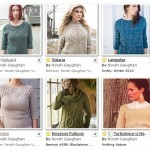 Pattern Recommendations – This feature is still in Beta but has highlighted several new designs for me. 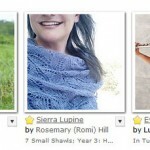 Recommendations are based on your favorite designers, projects you’ve knit and queued. I try to look at my friends’ favorite designers for ideas too. Take a look at mine. Search my faves. You can also search anyone else’s faves too. Search by project type – pullover, cardi, socks, shawl, mitts are the usual suspects for me. Search by fabric characteristics – cables, lace, texture – but no garter! I’ve searched for the keyword garter but it’s not a perfect search. If anyone knows where garter is listed in advanced search please let me know! Changing the sort order. The default is Hot Right Now but you can also sort by Most Project, Most Favorited and a bunch of others. Remember and Compare – Once you find a design you like, remember it so you can pull together a custom list of designs you’re interested in right now. Your History – How many times have you looked at a design and then couldn’t remember it? One catch – this only shows you designs that you’ve viewed and doesn’t include projects. One thing you may all be thinking I’ve missed is tagging. Truthfully, tagging is not one of my favorite ways to organize. I much prefer to fave a design and then use advanced search to pull up a list of items I like. Tagging is an extra step for me, but if it works for you don’t let me stop you. 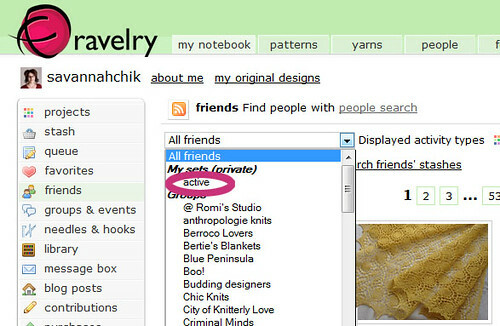 How else do you search and organize on Ravelry? Friday Faves, how to and tutorials. permalink. I’m terrible at re-finding things. But I’m with you, the advanced search is great. 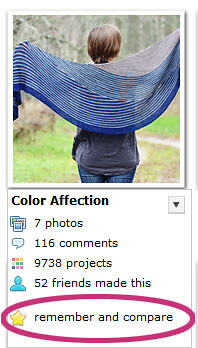 I often lose track of time looking up colorways of yarn and seeing what projects have been made of the same color. Super helpful! Thanks for putting this together Jody. Quite excellent tutorial Jody. Thank you for this. I didn’t know I could search my friend’s activity by group! Head slapping myself because looking at my history never crossed my mind when I can’t find a pattern I didn’t save but want to go back to. 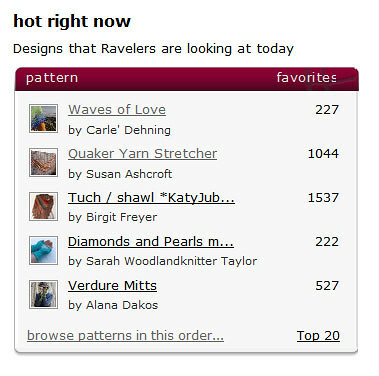 So many things to look at and do on Ravelry!!! This is great! I haven’t been on rav as much lately and haven’t seen all these features.